Completely renovated in the fall of 2016 the DoubleTree Suites by Hilton Hotel Dayton Miamisburg in Miamisburg Ohio is located off I-75 at the Miamisburg-Centerville Road Exit 44. Just four miles from historic downtown Miamisburg and ten miles from the Dayton Convention Center. DoubleTree Suites by Hilton Hotel in Dayton OH is centrally located and offers easy access to many Miami Valley businesses and attractions. Explore all the splendid shops at the Dayton Mall across the street from our hotel. Whether traveling to Dayton Miamisburg or Centerville Ohio for business or pleasure our beautifully appointed suites feature the Sweet Dreams Bed by Doubletree mini- refrigerator microwave televisions in both the bedroom and living room areas personal coffee maker hair-dryer iron and ironing board high-speed internet access in all suites with wireless throughout the lobby restaurant and lounge. Our business center features two computers and a printer 24-hour gift shop and our Precor fitness center. Our outdoor pool which is open seasonally and courtyard area are perfect for a relaxing family getaway. Our expert meeting and event coordinators are here to make your business or social function an effortless success. Join us for breakfast or dinner in the Bistro Restaurant and Lounge. The Bistro is perfect for a business meeting romantic dinner or a night out with friends. The staff at the DoubleTree Suites by Hilton Hotel Dayton - Miamisburg look forward to welcoming you with our signature warm DoubleTree chocolate chip cookie to the Dayton area. 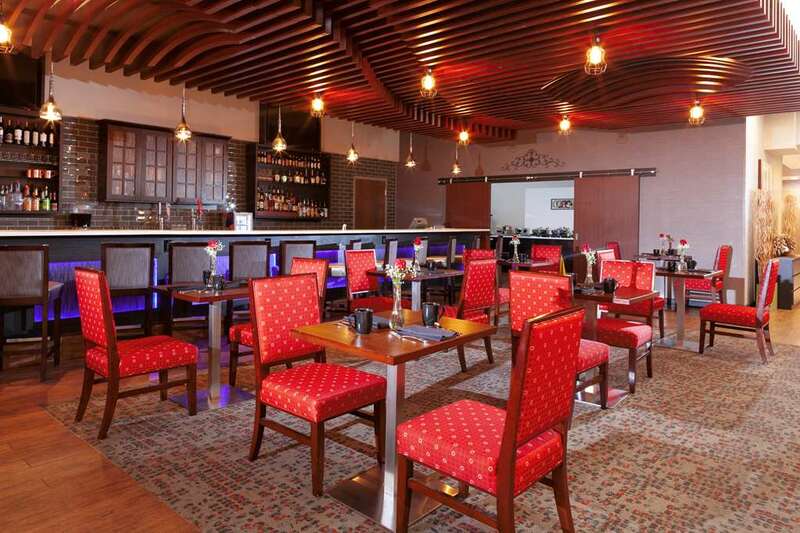 The Bistro: Tastefully casual restaurant in the hotel lobby offering an exciting array of innovative dishes from seafood to pasta steak to salad and all at affordable prices. Wake up to DoubleTree Breakfast buffet and excellent service. Made Market: Enjoy a delicious meal from our market and bistro. Made Market features convenient grab - go items freshly prepared foods and Starbucks coffee.